Last year, I started travelling again to small towns and villages, an India that I had discovered in the 1980s and 1990s. I was seeing those places at close quarters after more than 10 years. There were many striking and visible changes. The most overwhelming was the sight of India drowning in rubbish. Standing in the exquisite Garhwal, if you move your eyes off the picture-perfect mountains and streams, and to the place you are standing, you will find rubbish. The Nilgiris, the Aravalis…it’s all the same. On the scorched plains of Gulbarga or of anywhere else, in this generally scorched nation, you will find the same heaps of rubbish. 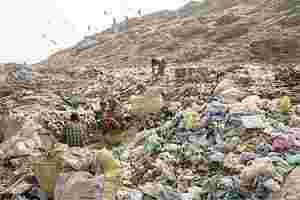 Rubbish is the common denominator of all landscapes in India. India’s high growth rate is generating an ocean of rubbish, for which we are doing nothing. This is the most visible of the many challenges posed by changing consumption patterns and urbanization. The McKinsey Global Institute published an excellent study in April 2010: India’s Urban Awakening. As with any such study that would look out till 2030, we can quarrel with many of its assumptions and conclusions. However, the broad conclusions are unarguable: India will be a lot more urban in 2030; unless we dramatically increase our investment in urban infrastructure, life will be much worse in cities; and the current signs suggest that indeed things are going to be much worse—with the gap between supply and need of urban services widening sharply. Urban services include waste and sewage disposal, water supply, transport, etc. The study estimates that we need to invest $1.2 trillion through 2030 in urban infrastructure for our cities to become livable. As valuable as it is, the study still understates the problem. Its benchmark estimate is of about 6,000 cities in India in 2030, which may be much lower than the actual number. The reasons for this understatement are quite understandable: it is very difficult to demarcate urban and rural spaces, and the problem is compounded by rapid urbanization. While habitations may be “rural" by many relevant measures, they may also be “urban" by some other. Most common is the situation where consumption patterns move rapidly to what may be called urban, but most other things remain rural. Such places do not necessarily need all the complex civic services of a full-fledged city, but they do need some of the basic services, e.g. waste and sewage disposal, water supply. When one considers the numbers (increasing by the day) of such habitations in the twilight zone of urban and rural—and to that adds all the cities (say 6,000), then one sees a glimpse of the scale of the problem. It’s this scale of the problem that is already visible in the context of waste in its most gruesome form, of rubbish created by plastic, generated by consumption overtaking all infrastructure and services. Meanwhile, our cultural mores continue to remain apathetic to this rapidly unfolding environmental, health and aesthetic tragedy. Let me propose three partial solutions for handling this rubbish, for the cities and the part-urban areas. I am aware that each (or the combination) of these solutions can be shot down, riddled with holes of impracticality or ideology. First is for the National Rural Livelihoods Mission to catalyse a disposal chain for plastic waste, including collection, sorting and recycling. This can be done at the satellite villages of all urban centres. This will handle the plastic and generate livelihood. Second is for all corporations, panchayats and talukas to invest in effective waste-disposal systems that do not end up as landfills. This would include handling and reuse of the plastic. The substantial investments required could be partly funded through taxes on key polluters such as polyethylene bags. Third is to just shut down all units that make bags out of polyethylene (and similar material) or construct a targeted tax structure that is heavily punitive. Whatever systems we adopt to tackle the rubbish physically, as a society we need to tackle its roots. And for this, we need changes in attitude and behaviour. The apathy of producers and consumers must be changed through education and sensitization. Likewise, we must bear the real cost of the use of plastic. Governments, local and national, can make both changes happen through education, regulation and taxation. This most visible of all tragedies of our commons, at its core, requires the same thing for its solution that is in short supply—political will.